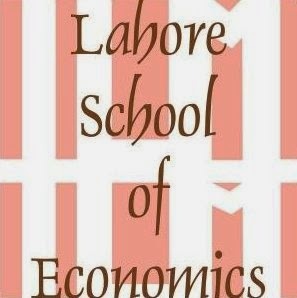 The Lahore School’s Economics Society organised a lecture by Dr. Paul Ross, who was the former IMF Resident Representative to Pakistan. During this seminar, Dr. Paul Ross discussed the major economic challenges facing Pakistan, and how can Pakistan use prudent monetary and fiscal policies to promote economic growth. While discussing the economic challenges faced by Pakistan, he examined the short, medium and long-Term impacts of current policies and how innovative policies can be used to help with the current challenges faced by Pakistan. Discussing monetary policy, Dr. Ross emphasized that Pakistan should strengthen its SBP independence, tighten its monetary policy and reduce government borrowing from the State Bank of Pakistan. on the fiscal side, Dr. Paul Ross discussed the important of revenue mobilization followed by fiscal expansion focused on long term development. 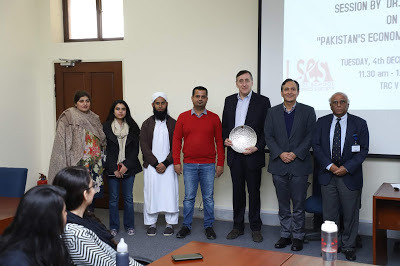 Participants included the the Rector of the Lahore School, Dr. Shahid Amjad Chaudhry, the Dean of Economics, Dr. Azam Chaudhry, the Director of the Graduate Institute of Development Studies (GIDS), Dr Rashid Amjad and other senior faculty members. The event was hosted by the Lahore School Economics Society and was organized by the society's presidents, Bisma Tarar and Wasif Ahmad.